In order to attain this end, Alamo City Treatment Service’s Recovery Program provides a number of different therapeutic approaches to both educate the patient and to allow the free processing of feelings in a nurturing environment. The various treatment modalities include: individual, family and couples counseling, group counseling, and educational groups. In addition, participation in 12 Step programs such as Alcoholics Anonymous or Narcotics Anonymous greatly enhances development of the foundation for long-term recovery. How do you know if you have a problem with alcohol or drugs? What can you do to encourage treatment? Set boundaries – Set rules that are healthy for the sober members in the family or the relationship. Do not set any rules that you will not uphold. If you set a boundary such as: “I need you to maintain total sobriety for 3 months. If you drink or get high again, you need to go seek help at AA, see a counselor, start an outpatient program or go into an inpatient program.” Follow through, no breaks allowed. The best way to do this is by being involved in a 12-step program such as Al-Anon or Codependents Anonymous. Recovery is about telling the truth, getting support from those who have gone through this problem in the past and learning to set healthy boundaries for yourself and others. Setup an intervention – There are counselors who can set up a meeting with friends and family members to confront the chemically dependent person. It is a series of a few sessions to practice and then confront the person with an option for seeking help as the outcome. The family alone should not attempt the intervention. The chemically dependent person has the ability to justify and rationalize their way out of the problem and the solution. The family usually will not be able to contend with the logic of the addict and will be manipulated. So please, seek help when considering this approach. When seeking help for the addiction or alcoholism, beware of professionals that provide only individual counseling. When people are abusing chemicals they are usually using them 3 or more times per week. One individual counseling session per week will not alleviate the desire to use 3 or more times per week. Beware of programs that don’t offer services to the family. The family has suffered through the chemical abuse and is confused, angry, depressed and hurt with the experiences they have gone through as a result of the addiction. 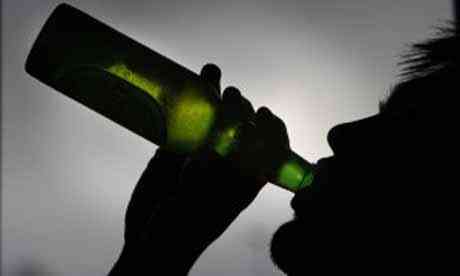 Watch out for providers that prescribe medications to deal with alcoholism. Twenty-five years ago the joke in the counseling field was the reason alcoholics drank was because they had a “Valium deficiency”. Sure, Valium reduced the anxiety experienced by recovering alcoholics, but it was not meant to become a substitute for the alcohol or for the treatment. Anxiety and stress are every day experiences for the consequences and behaviors we face. A sign of maturity is the ability to appropriately respond to emotions and emotional situations. Most clients (adult and adolescent) I am seeing now are being diagnosed with Depression, Attention Deficit Disorder, Attention Deficit Hyperactivity Disorder and Bi-Polar Disorder, when in fact they are alcoholics and addicts. The reason they seem to be hyperactive and they can’t sleep is they are on drugs. It affects their sleep patterns when they use stimulants or sedatives, especially when they stop using them. The reason they cycle through bi polar (manic / depressive stages) is because they are using drugs (manic) or out of drugs (depressed). They may be self-medicating other problems, but they need to seek reputable help. Most professionals don’t understand the severity of the chemical dependency problem in the United States and if they do, they don’t know how to deal with it appropriately. The client and the family need education to understand the addiction, recovery, relapse prevention, switching addictions and dysfunctional family/relationships. They need counseling to rebuild their relationships, self esteem, to learn to deal with emotions, to stop negative thought processes, to reconnect spiritually and morally to life again. They need group counseling to understand the struggles and strength of support groups, to see the success of others and to collectively learn to reshape their thinking, handle their emotions and find a spiritual walk that helps them to resolve past behaviors and maintain a positive focus in their lives. If you do seek help and don’t tell the WHOLE truth about your addiction or your spouse’s/child’s/parent’s chemical addiction, you are wasting time and money. If you are seeking help for marital and family problems but don’t stop the chemical abuse or tell the counselor about the alcohol and drug problems, you are wasting your time and money. If you are depressed and taking antidepressants, but still using drugs or alcohol, you are wasting your time and money. 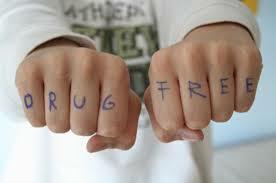 If you have medical problems and continue to self medicate with drugs and alcohol, you are wasting your time and money. If the professional you are seeing does not suggest or urge you to go to 12-step meetings as part of your treatment, find someone else. Please seek help from a counselor or program that specializes in chemical dependency. But most of all pray for yourself and for the addict – and seek the answers given to you by people who have overcome.